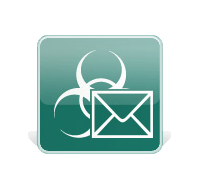 Kaspersky® Security for Mail Server is a solution that protects mail servers and groupware servers from malicious programs and spam. The product includes applications that protect all popular mail servers, including Microsoft® Exchange, Lotus Notes/Domino, Sendmail, qmail, Postfix and Exim. The solution can also be used to set up a dedicated mail gateway.